Along with Beckett and Pinter we have also ventured into the world of Brien Friel and Tom Stoppard, two recent playwrights also fascinated by the way the experience of meaning in our lives is directly related to the kind of language we use. Was this not also at the centre of George Orwell's question in "Politics and the English Language"? It is impossible to read the compositions of the most celebrated writers of the present day without being startled with the electric life which burns within their words. They measure the circumference and sound the depths of human nature with a comprehensive and all-penetrating spirit, and they are themselves perhaps the most sincerely astonished at its manifestations, for it is less their spirit than the spirit of the age. Poets are the hierophants of an unapprehended inspiration, the mirrors of the gigantic shadows which futurity casts upon the present, the words which express what they understand not, the trumpets which sing to battle and feel not what they inspire: the influence which is moved not, but moves. Poets are the unacknowledged legislators of the World. 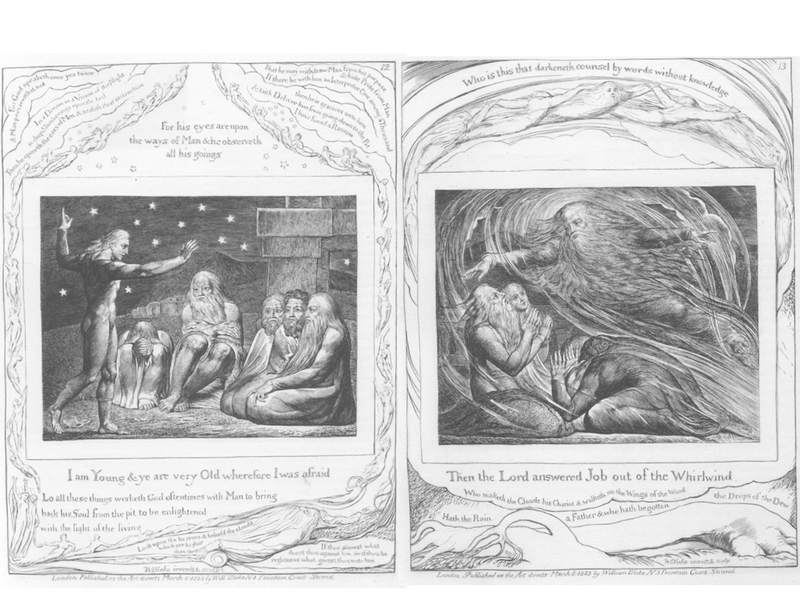 "A Defence of Poetry"
This declaration also chimes in beautifully with our discovery this week at how Job - in the version of his story engraved by William Blake - is also represented, above all, as someone touched with the visionary power of poetry. Job, through this awakening to the mystery of poetry, beyond reason, becomes the one who directly challenges the moralistic, political manipulations of his so-called friends who want him to admit that he is bad, evil, deserving of punishment. 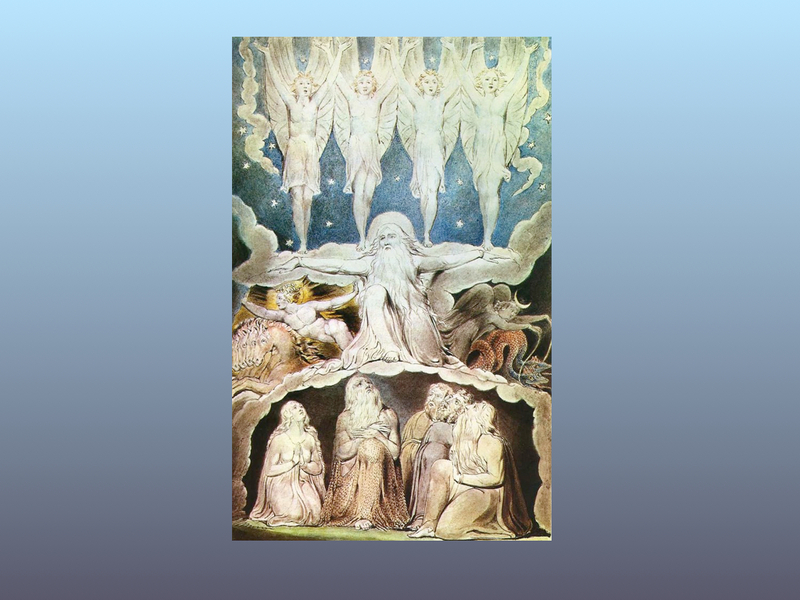 Job is "saved", by the visionary direction of young Elihu who awakens in Job the capacity to see another dimension of reality, expressed by Blake as the powerful God in the whirlwind.